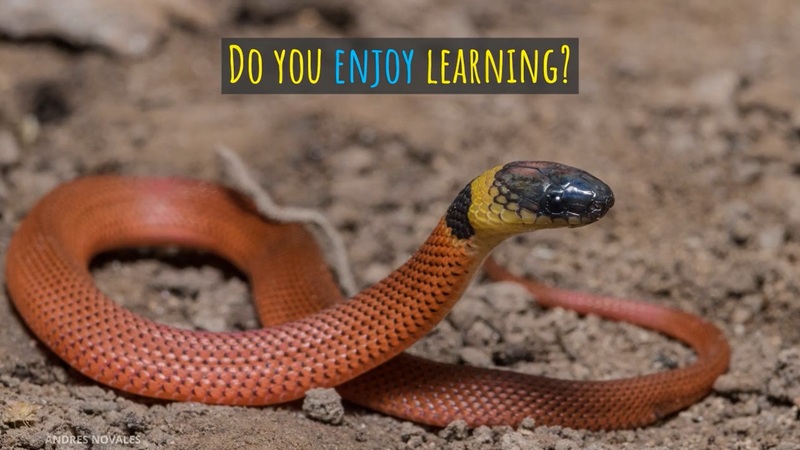 Discover why this award-winning resource has been gathering endorsements from some of the biggest names in herpetology! 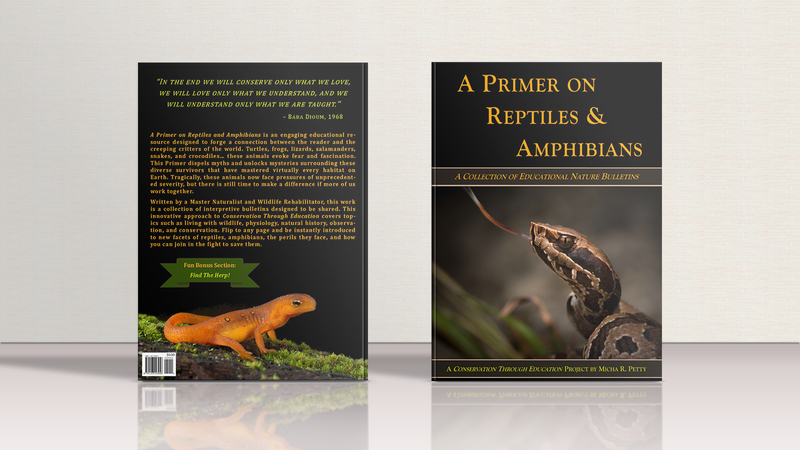 “A Primer on Reptiles & Amphibians” looks like an outstanding educational product. I can tell from my first look that Micha has done an excellent job of covering a variety of herp topics everyone wonders about." "I hope it gets, because it deserves, wide attention. It is a must-read for anyone, child or adult, interested in or just curious about herps or nature." 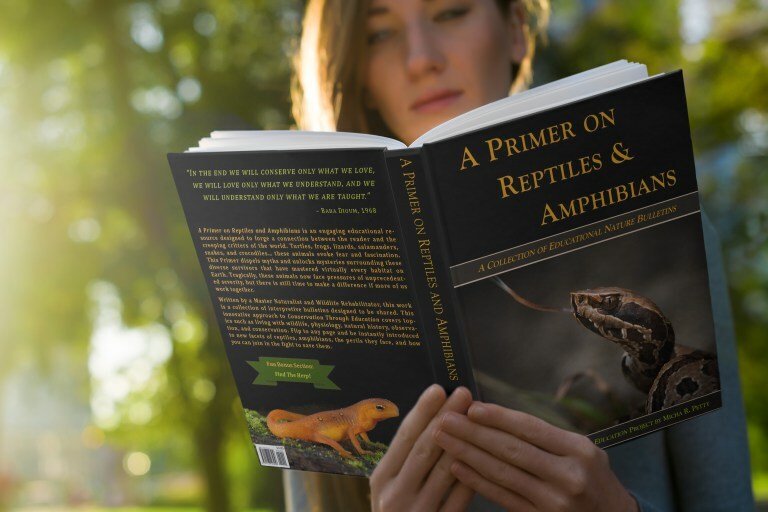 "If I were still teaching herpetology, the Primer would be required reading for all students, both graduates and undergraduates. I am going to recommend to others to do the same." "I'd be really excited to see this distributed widely because to me it reads as a lot more accessible than most of what's out there, and that's really important for reaching new audiences and changing behaviors." "This is an unusually broad primer on the subject, with very readable, illustrated, page-long essays on nearly every issue imaginable, within the topic. It would make a great gift for that budding herpetologist that every family has, somewhere." "I have had the opportunity to get a sneak peek at this book and it is really fabulous. The author, Micha Petty has done an exceptional job truly creating a primer. I can't wait to add it to my bookshelf!" "This book is going to make a difference!" Prefer one of our other shops? by clicking on the Messenger icon below! Watch a Short Video about the Primer! Watch Another Cool Promo Here! The Primer is about helping people understand and appreciate the diversity of life on Earth. 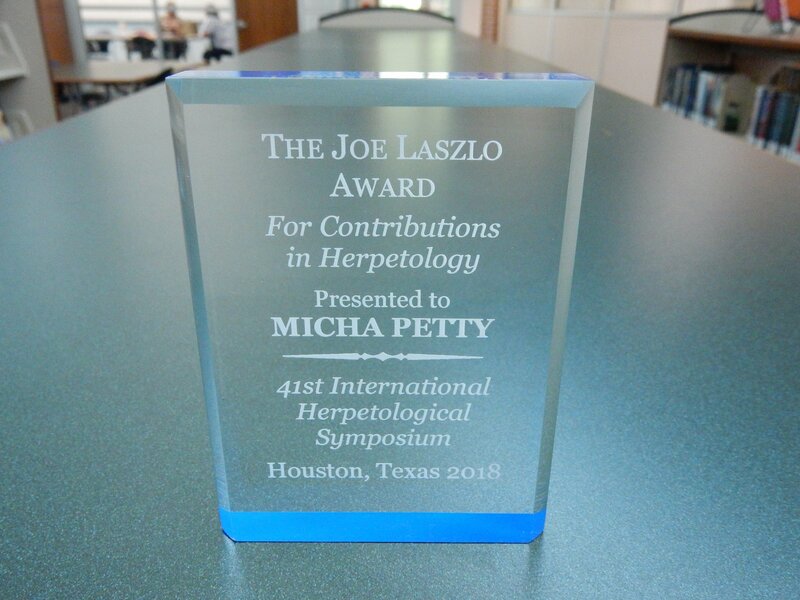 This project inspired the International Herpetological Symposium to select Micha as the 2018 recipient of the Laszlo Award for "new and exciting views and advances in herpetology." DOWNLOAD THE PRIMER NOW TO SEE WHY! The Primer is suitable for all ages and experience levels. Each page is a different lesson, and it is full of beautiful color photographs. It is formatted as a collection of 8.5" x 11" bulletins, designed to be easily printed and shared. The mission behind this book is to help more people get to know these fascinating animals and to raise awareness about their conservation concerns. Any proceeds go to support animal rescue and conservation. 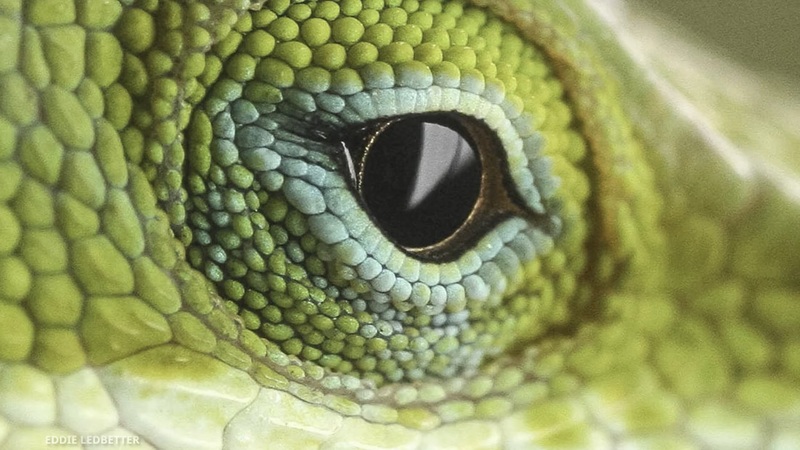 A Primer on Reptiles & Amphibians is an innovative educational resource designed to forge a connection between the reader and the creeping critters of the world. Turtles, frogs, lizards, salamanders, snakes, and crocodiles… these animals evoke fear and fascination. This primer dispels myths and unlocks mysteries surrounding these diverse survivors which have mastered virtually every habitat on Earth. Tragically, these animals now face pressures of unprecedented severity, but there is still time to make a difference if more of us work together. Micha Petty is an international award-winning Master Naturalist and wildlife rehabilitator. This critically acclaimed debut volume is a collection of Micha’s interpretive writings, carefully crafted to make learning easy for everyone. These bulletins display his passion for Conservation Through Education while covering topics such as living harmoniously with wildlife, physiology, natural history, observation, and conservation. Flip to any page to be instantly introduced to new facets of reptiles, amphibians, the perils they face, and how you can join the fight to save them! We have a lot more bulletins in the works- don't miss out! This is a low volume list (we hate Spam, too!). MORE REVIEWS FROM READERS LIKE YOU! 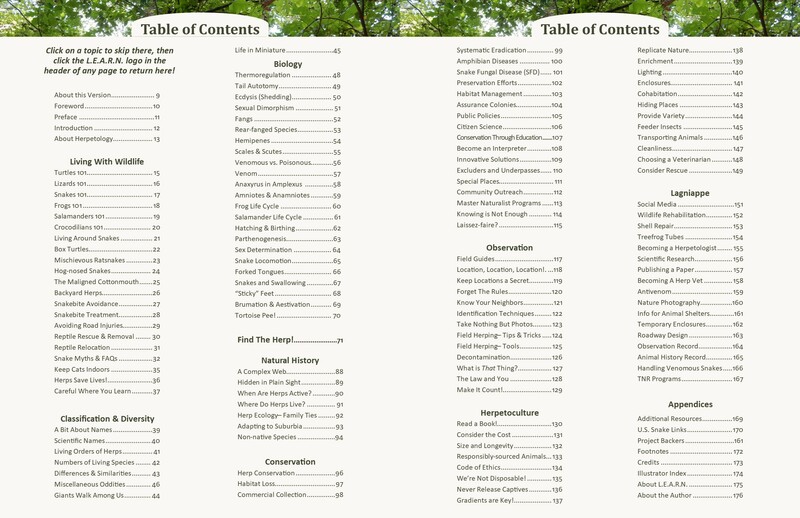 "I’ve been working in the field of conservation and wildlife education for ~8 years, and Micha’s volume is one of the best resources I have come across. Whether you’re a veteran herpetologist or have a budding curiosity about our scaly and permeable-skinned friends, this book is a good one to have around." "An excellent effort, to be commended for it's up to date, research based take on husbandry and full of other interesting information. Well done Micha Petty and LEARN, this sets new standards for the hobby!" "Guys... get in on this now! This is a wonderful resource for both professionals and novices. I have a photo in here so I’m a bit biased but this book has received praise from the likes of Whit Gibbons and others. Micha Petty has put a ton of work into this project and it shows. Do it!!" "This book is filled with great stuff! It’s an amazing educational resource, so get yourself a copy!" "This is Awesome. Not only is it the absolute best literature for learning about reptiles and amphibians, but it has amazing photos. It’s free to download and read but I highly suggest getting a hardback copy." "This is an amazing learning tool developed and written by Micha Petty. I recommend this to anyone seeking foundational knowledge and understanding of reptiles. I’ll be adding it to my library as well, but you can’t borrow mine. You need your own copy of this “labor of love”. A tremendous amount of passion and love for reptiles went into it. Order this book!" "Micha's passion for animals warms my heart and has even helped me get over my phobia of snakes! He has devoted his life to protecting critters and teaching people how to do the same." 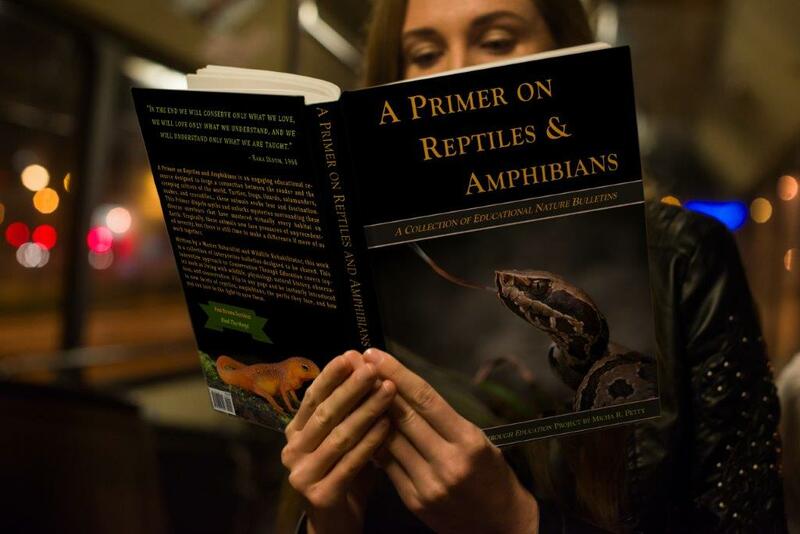 "This is one of the very best texts I have ever read (multiple times) on the subject of reptiles and amphibians. This book deserves all of the support it can possibly get. It is innovative, educational, and has some incredible photography. The amount of work that has gone into this book by the author is absolutely astounding." "You can preview the entire volume with quality images for free on the PDF version. After you do so, I think most of you will agree a very reasonably priced hardcover is a worthy purchase that goes to good cause." "A must have if you are interested in reptiles and amphibians at all!" Or shop with our friendly turtle-bot, Shelly, by clicking the Messenger icon below! If you are a photographer who might consider licensing some of your photos of reptiles and amphibians, please click here.